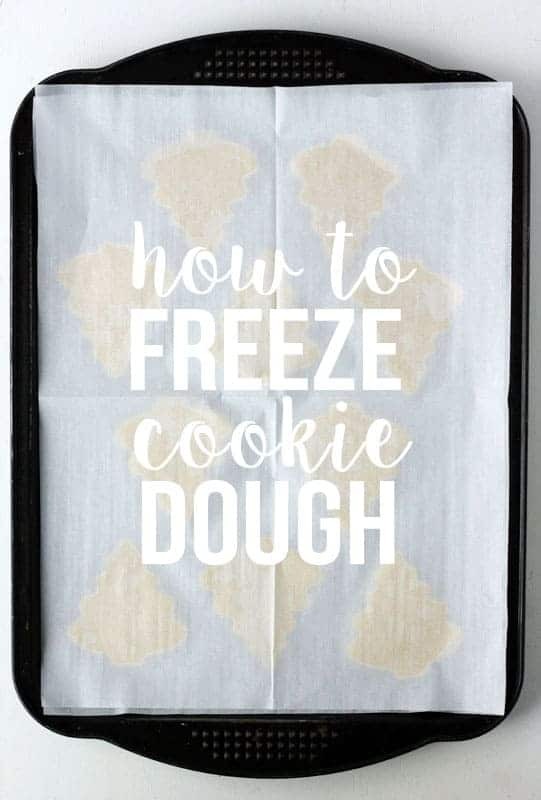 Learn the best way to freeze cookie dough so you can have fresh baked cookies anytime! The best part is that you can bake them straight from the freezer! You will always have a stash of cookies ready to bake and devour. So handy when you have unexpected guests drop by. Making batches of cookies in advance can free up your time during the holidays! Pull out a few different flavors and bake together for a quick neighbor cookie tray! How long can you keep frozen cookie dough? Get this, homemade cookie dough can last 3 months in the freezer. Make sure you store it properly in either an air tight container or freezer safe bag. Does frozen cookie dough need to be thawed before baking? This is a personal preference. Technically, no. You do not have to thaw your cookie dough. Simply add 2-3 minutes to the baking time. However, I prefer my cookie dough to be somewhat thawed before baking. I remove mine from the freezer and place on a parchment lined tray about 20 minutes before baking. 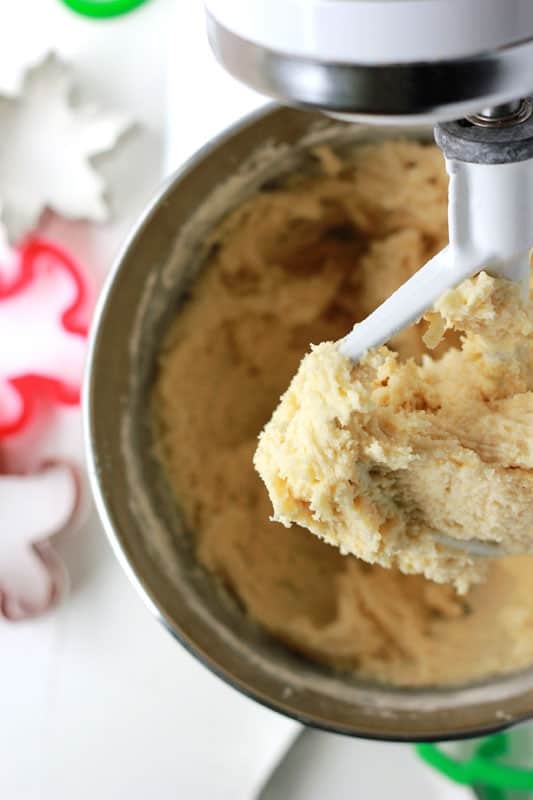 How to freeze cookie dough – 3 ways! Drop cookies are by far the easiest to freeze and bake. Examples will be chocolate chip, M&M, and snickerdoodle. Scoop and shape your cookie dough into rounds. Place close together on a parchment lined baking tray. Remove and store in a freezer safe bag or air tight container. Be sure to label and date. Slice and bake cookies are a popular variety. 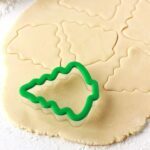 We also use this method for sugar cookie or roll cookie dough! Form your dough into one or two logs. Wrap tightly in parchment or plastic wrap to avoid freezer burn. Place in a freezer safe bag and freeze solid. Don’t forget to label and date. All of the fun of cookie decorating without the stress! Have your rolled cookies ready to go for your decorating day. 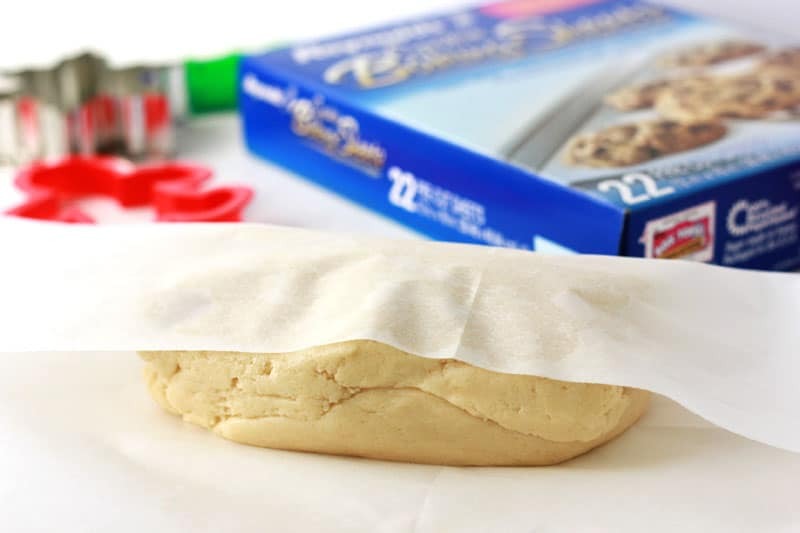 Make and roll out your cookie dough. Cut your desired shape. Place each cut out onto parchment paper and place on a cookie tray. Line an additional layer of parchment on top of you cutouts. Store in an air tight container or freezer safe bag until ready to use. We are talking about dough, but can you freeze baked cookies? Heck to the yes. You can definitely freeze baked cookies. Baked cookies can stay fresh, if stored properly, for up to 4 weeks in the freezer. That means you can make all of your holiday cookie tray treats a month in advance and pull them out when you are ready to serve! 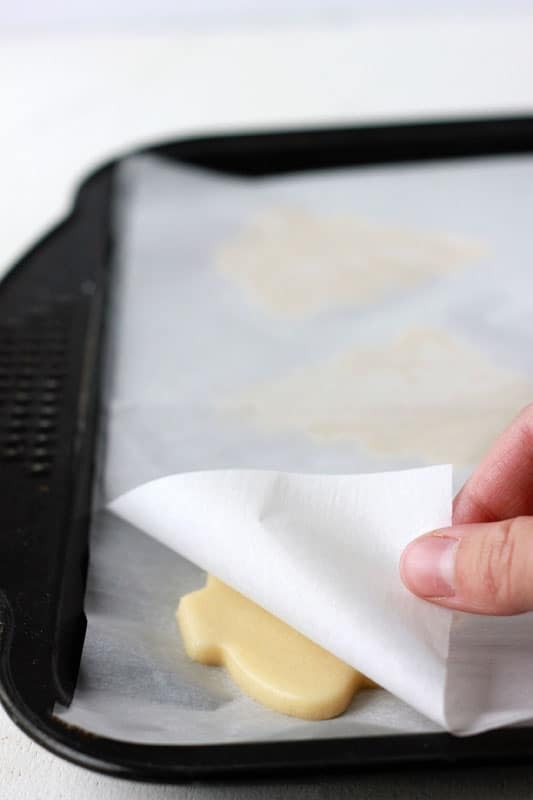 Place in a single layer on a baking tray lined with parchment paper. Freeze 1 hour. Store in freezer safe zip top bags that are labeled and dated. To give your frozen cookies a fresh taste, bake at 350 degrees for 5 minutes. Your house will smell amazing and the cookie will be perfectly warmed. 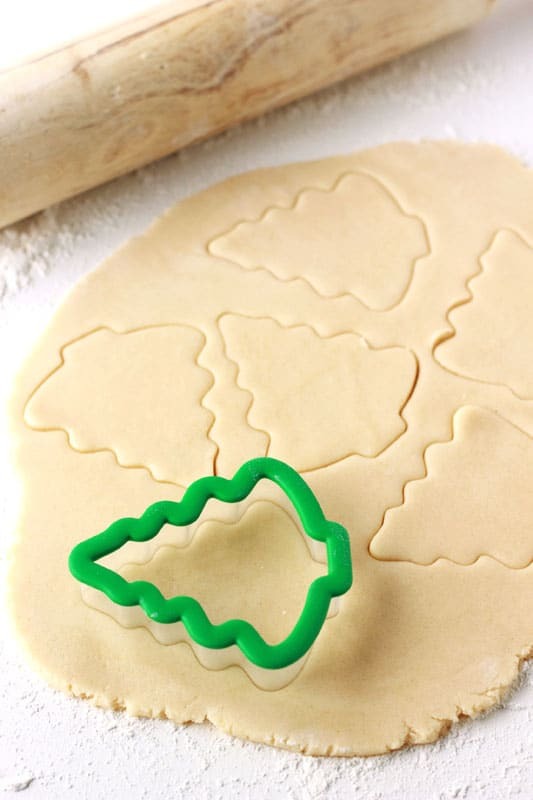 These sugar cookies are perfect for decorating. Preheat your oven to 350 degrees. Line a cookie pan with parchment paper and set aside. 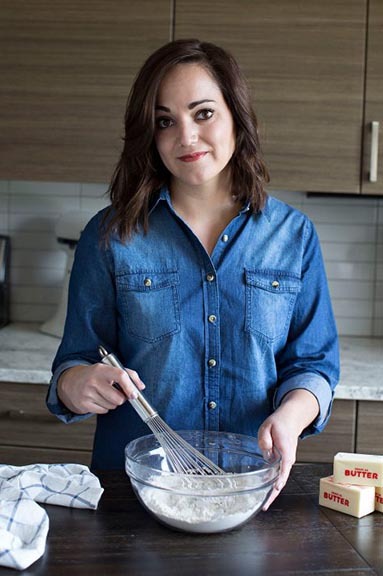 Whisk together your flour, baking powder, and baking soda. Set aside. In the bowl of an electric mixer combine the shortening and sugar. Beat until light and fluffy. Stir in the eggs one at a time followed by the vanilla. Stir until incorporated. Fold in the dry ingredients. Roll the dough 1/2-1/4 inch thickness. Cut using your favorite cookie cutter, transfer to your prepared baking tray, and bake for 10 minutes or until the edges are slightly browned. Enjoy as is or decorated with your favorite icing. Love the photos on here! Great post! You are so nice! This one was fun to shoot and make. We love christmas cookies. I definitely need to be better at planning ahead for christmas cookies to take to the neighbors! I dont have a set treat that I always make, cause I love making such a variety, but this is such a great idea! Maybe I’ll make a batch soon to be ready for christmas time! I’m sorry that you had problems with the recipe. Did you make any changes? I’d love to walk you through the process. We just made these last weekend and LOVED them. I didn’t read through the comments until after I had put the first sheet in the oven so I was a little nervous to see that someone hated the recipe. I’m baffled because we thought they were delicious! These will be replacing our regular sugar cookie recipe for Christmas this year. Thanks for sharing! I just finished making the dough but it is rather wet I measured exactly by the recipe! Common sense tells me to add more flour but I’m wondering why this happened ??? By rather wet do you mean sticky? If so to rolling a little bit on a generously floured surface. I also sprinkle a heafty amount on top of the dough before applying the rolling pin. If you have any more questions or need a quicker response shoot me an email at [email protected]. I’m thinking I might need to make a video for this one to walk everyone through. So if you use method 3 and cut out the cookies to freeze, do you thaw them first or throw them in the oven frozen? We have done it both ways. When I cooked them from frozen I added a minute or two to the baking time and they were perfect.